My blog has been fully updated to embark on a new year! If last year’s theme was ‘travel’, then this year’s theme is ‘train’. Most of 2015 I spent riding in a car or flying in a plane to see, climb, vacation, run, eat, drink, sing, dance, and enjoy many parts of this country and world. 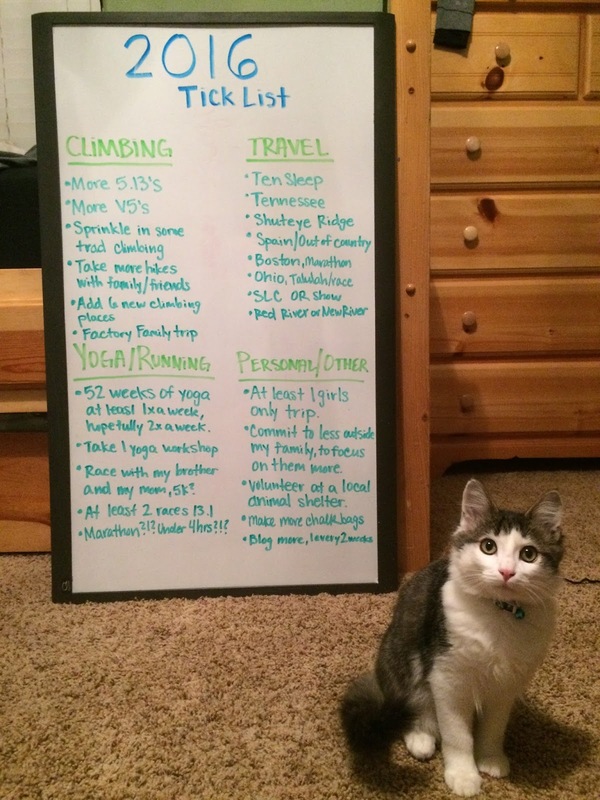 While I plan to visit more places this year, with a few new to me climbing areas on the list, a large part of the focus this year will be on preparing myself to climb, run, and practice yoga at my best! My office/craft room, and the cat Sol because he really wanted to be in the picture! See the year rounded up on YOUTUBE! I’ll be looking back at this list on January 1st 2017 to see just what I accomplished, what is still left to be done, and what more I never even dreamed of happening. 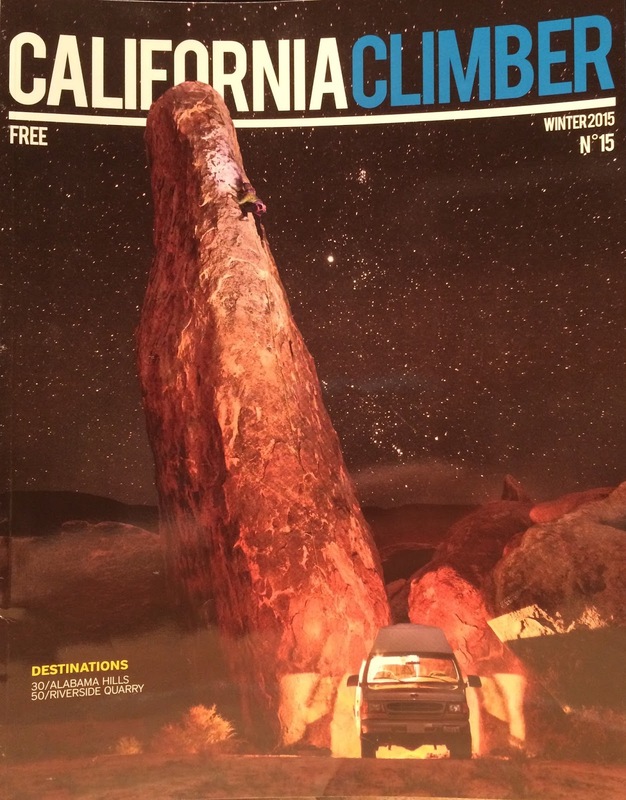 Like starting the year with a full page photo in the Winter edition of California Climber magazine! Jim Thornburg spent the day capturing my husband and I climbing at the Riverside Quarry, and his other photos from the series are a wonderful showcase of this beloved crag. 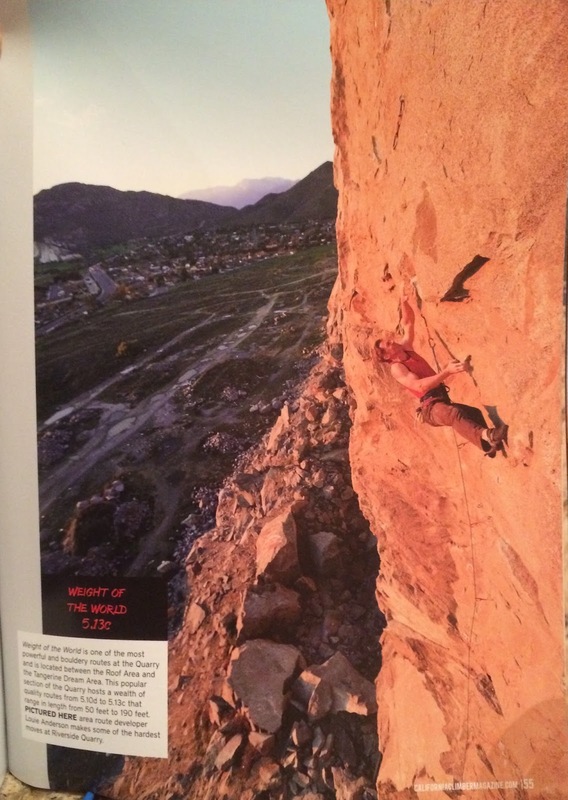 Read his words and beta on the history of the area and the many route gems out there on the walls. The issue is in print, and eventually will be available on the website. 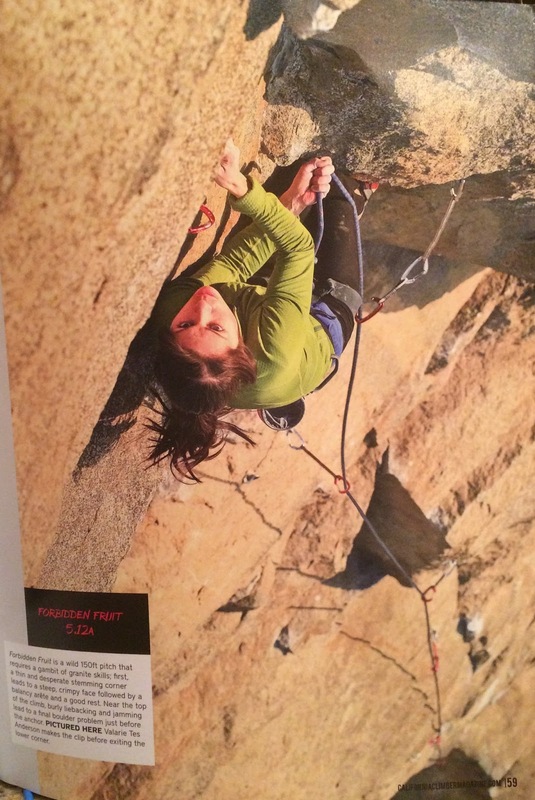 Check my video of 2015’s highlights and favorite moments: There was a climbing trip up the west coast, the LA marathon, my husband’s broken arm, Stagecoach, a new sponsor (Stonewear Designs) and an enduring one (Mad Rock), Michigan for the Fourth of July, Arizona and Utah for more climbing, Mexico on a family vacation, Kentucky to climb in the Red River Gorge, adding Sol the cat to our family, a local trip to Mammoth for sport, the epic trip to Spain, sending my first 5.13, running three half marathons (including my first trail race), saying goodbye to an aunt and my Nana, then spending the holidays with everyone I loved! A whole mess of other business happened in between all this. I’m blessed and grateful to be part of the climbing community, to have sponsors that support my dreams, and most of all to have my adventurous and encouraging husband by my side. Visit the video on my YouTube channel. Adios 2015, bienvenida a 2016!